Now I’d like to say that I had complete confidence in my new and radical idea for an article and that it wasn’t just a desperate last resort to do something vaguely clever. Being (I like to think) a very truthful person, I probably won’t. On the contrary, however, the article not only impressed the people I was working with, it dramatically increased the Derby Telegraph’s online readership. Get in! I did learn the hard way though, that as a writer not everyone will be impressed by your work, or even remotely respectful. I couldn’t help but be offended by some stupid comment saying, among other things, that I need to “get some help for that phobia” – I was only doing my job, I don’t even kill spiders myself! Luckily, I live with a housemate who thinks that responding to rude comments online is pointless and who reminded me that I normally think the same. The main difference between working with the Derby Telegraph and the Nottingham Post is that in Derby, they set me easier tasks, and were then way more easily impressed whenever I got to the end of yet another article. I had thought that they would be stricter, what with the firm work experience guidelines they emailed me previously. I didn’t once have to go and badger any hapless passers-by in some remote corner of the county, however. I simply wrote about whatever they wanted and was thoroughly praised for completing each task. Before I knew it, not only did I have five more articles published – four of which went on the website – I was also asked to come back, so agreed that I would every Wednesday. 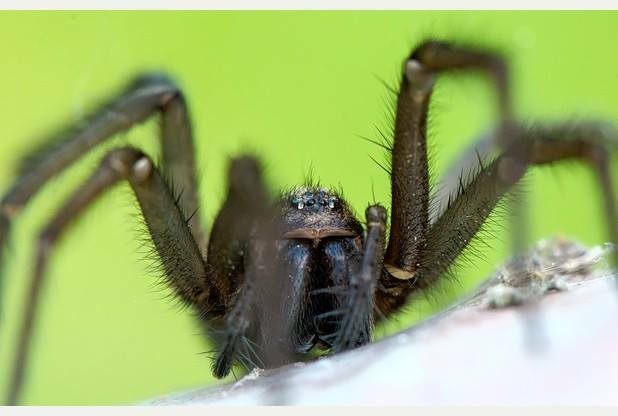 This entry was posted in Entertaining life anecdotes and tagged article, Derby Telegraph, journalism, news, newspaper, spiders, work experience, writing. Hi, I’m interested in getting journalism work experience, and am also local to the Derby area. I was wondering how you went about getting work placements? Thanks. I basically had to send them an email asking for work experience, with a CV and a couple of documents provided by my tutors attached. They may take a long time to get back to you though, but this shouldn’t be anything to worry about. Good luck! Link to my Facebook page!